Biopark Silver Fir is a center for conservation and environmental education where guests learn from experience by participating in interactive workshops and outdoor games. The primary objective of the Biopark is to educate visitors about natural biodiversity, agrobiodiversity, food security, and sustainable development issues. These lessons influence visitor behavior on food choices, the use of natural resources, and cultural traditions of local varieties of wild and cultivated species. On site there is an educational farm and garden with endangered animals, organic vegetable plots, orchards and nature trails with ancient plant species, and information on biodiversity. The Biopark can be visited at any time of year by request. Groups can take advantage of the group guided tours. 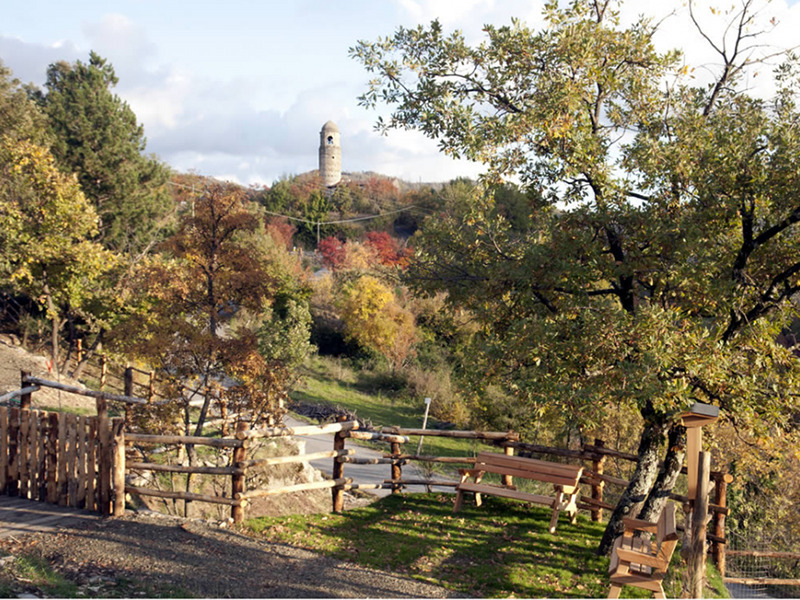 Visit the Biopark either before or after enjoying a meal from the "La Torre" restaurant inside the Montagna Verde Farm Holiday Visitor Center which is just a short walk away.